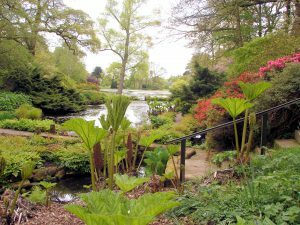 Hodnet Hall Gardens have been described as “one of the best examples of a planted landscape in the U.K”. The garden has been designed to complement the natural topography and as a result this garden has a rare synergy with the landscape. Almost any where the visitor stands in the garden there are views in to the surrounding park land. The many mature English Oaks, give the garden a frame work and harmony around which the ornamental planting provide year round interest. 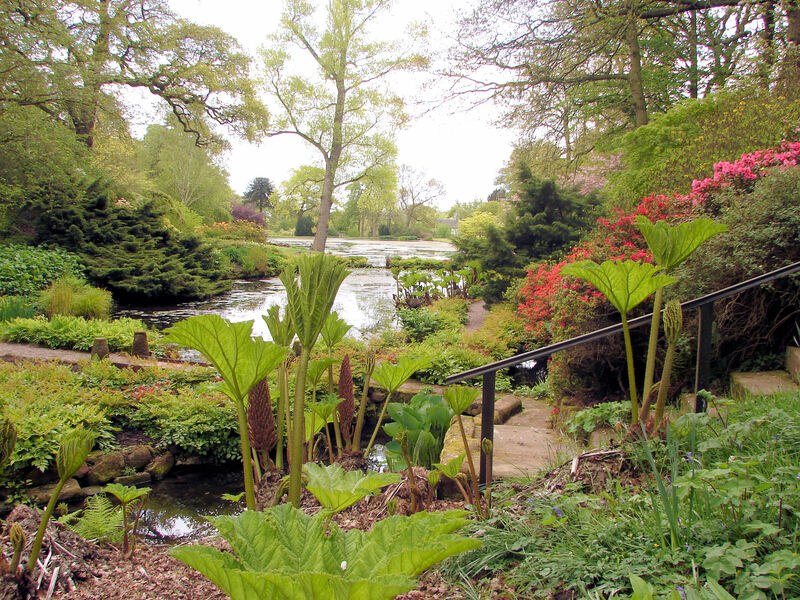 The water gardens in late Spring. Interest in the garden starts in spring with the flowering of mass plantings of daffodils as well as the many cherry and magnolia trees, other flowering shrubs provide additional colour and incredible scent. Following on from these are the numerous rhododendrons and scented azaleas, these are accompanied by lilacs, laburnums and many herbaceous plants. Also at this time native Blue Bells carpet the woodland floor. In the summer interest is provided by peonies, roses, astilbes, primulas and flowering trees and shrubs. A one acre walled kitchen garden also reaches it’s peak of interest in summer. In late summer into early autumn hydrangeas, which thrive on the damp acid soil provide welcome colour. This is soon followed by magnificent autumn hues of acers, birch, liquidambar, cotinus and many others. The garden hosts a national collection of the genus, Cercidiphylum. 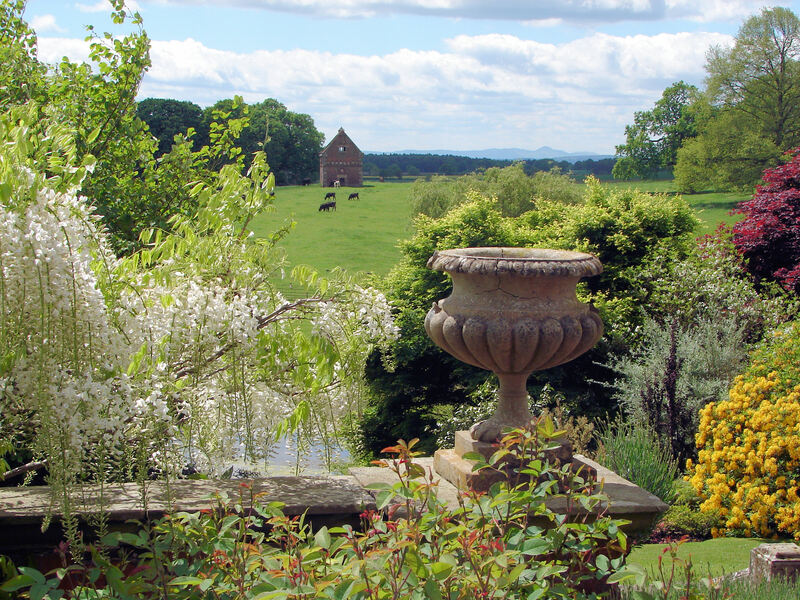 A view across the garden from the Broad Walk with the dovecote in the middle ground and the South Shropshire Hills on the horizon. There has been a park and gardens at Hodnet for many hundreds of years, and their design has followed on from the three different houses that have existed within the grounds. A stone built Norman castle constructed in the 12th century by Odo de Hodnet long since reduced to a few humps and bumps occupied the area behind the visitors car park. A large timber framed 16th century mansion house once occupied the area at the end of Beech Avenue, in the valley bottom. The old stable block, now the tea rooms, is all that remains today. Around this house was a terraced walk and a circle garden and these form part of the present garden. In the second half of the 19th century a Victorian house in the neo-Elizabethan style was built on the warmer and less damp valley side. A small enclosed rose garden and a lime avenue were planted soon after this house was completed. This house was altered in the 1960’s and remains the home of the Heber-Percy family. In the 1920’s Brigadier A.G.W. Heber-Percy embarked on building a series of pools and terraces and in so doing linked the formal garden around the Victorian house to the garden that surrounded the former Tudor house. The Brigadiers son continues to develop the planting of the garden. 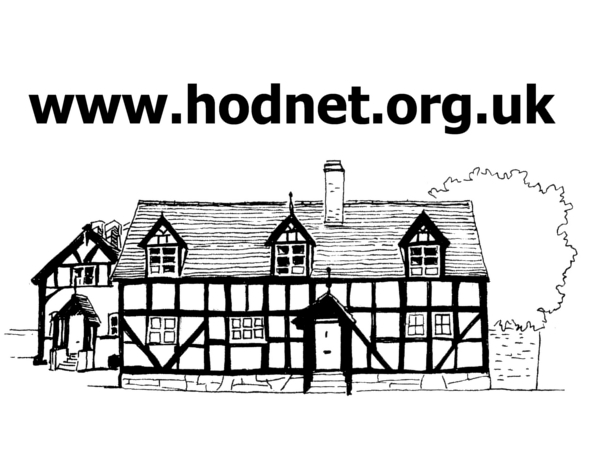 For information on opening days, entry charges, location and more pictures go to Hodnet Hall’s website.